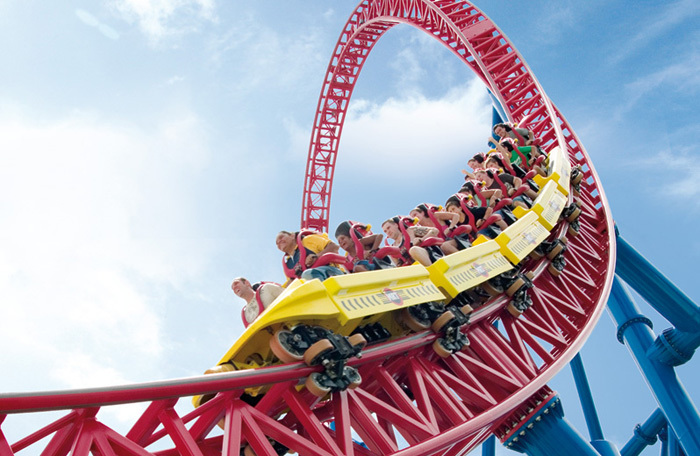 Gold Coast theme parks come in all shapes and sizes and whether you like death-defying roller coasters, petting furry animals, or just looking to entertain the kids, you've hit the jackpot! With something for all ages to enjoy, each of the major theme parks on the Coast offer some unique attractions, ultra fast roller coasters and family friendly rides, a wide range of entertainment options and shows, animal encounters, pools and water slides and so much more. Each park also has a dedicated child-friendly zone featuring their favourite characters and plenty of fun things to see and do, while adults can go on one of many thrill rides, relax in the pools (we're talkin' Calypso Bay at Wet 'n' Wild, heaven in summer) or simply explore what each park has to offer. The theme parks are open all year round except for Christmas Day (25 December) and ANZAC Day (25 April), except for Sea World which is open in the afternoon on ANZAC DAY. The all important question: where is the best place to purchase theme park tickets to save some cash? You can buy daily passes at the gate for each of the parks however to beat the queues (and get a good deal too), we recommend buying your tickets online. There are stacks of discounted combo passes available to give you multiple park entry so you can affordably see all the theme parks during your holiday. Village Roadshow offer combo passes for Movie World, Sea World and Wet 'n' Wild with unlimited entry over 3, 7 or 14 days, or you can opt for a Dreamworld and WhiteWater World combo pass with unlimited entry over 3 or 7 days, or get an annual pass for a fraction of the cost more and go as many times as you like over 12 months! 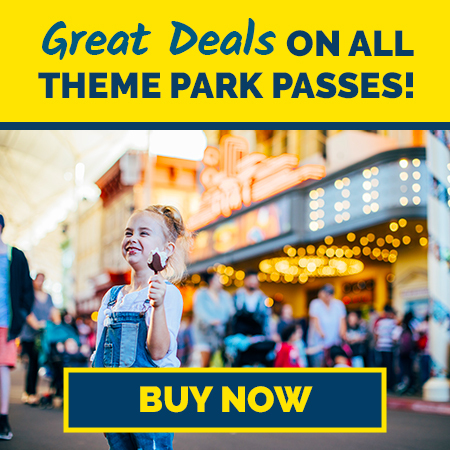 Combo passes are the best way to enjoy each of the Gold Coast's best theme parks while getting a good deal at the same time! Purchase your passes online, print your tickets and visit any of the below theme parks and save $$ off admission prices! 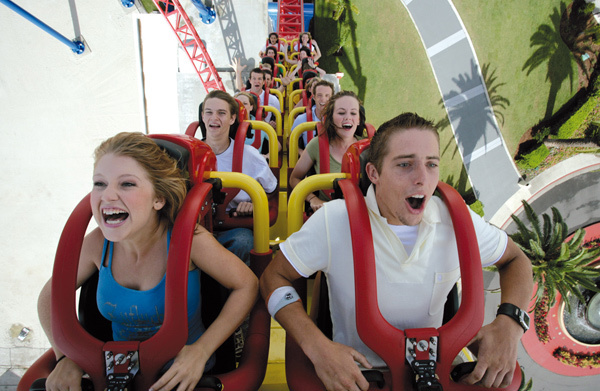 Experience a fun-filled day with the glitz and glamour of Hollywood at Movie World. Meet your favourite stars and super heroes, see action-packed stunt shows or experience one of the tallest, longest and fastest HyperCoasters in the Southern Hemisphere plus awesome movie-themed rides (think Scooby Doo, Superman, Batman and more). Get a discount combo pass for unlimited entry to 3 theme parks! Sea World has a fantastic range of sharks, penguins, polar bears and other marine life in realistic, natural environments. 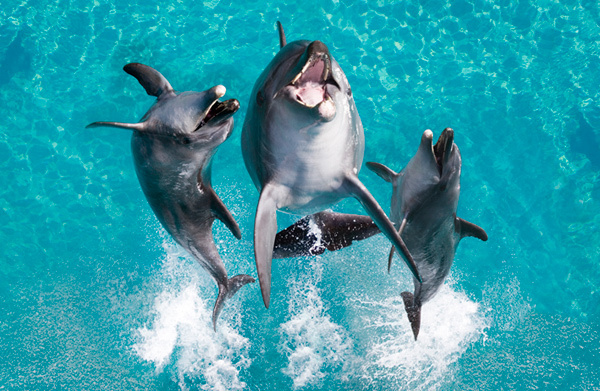 Be entertained with spectacular stunt/water shows; giggle at the seals and marvel at the playful dolphins. 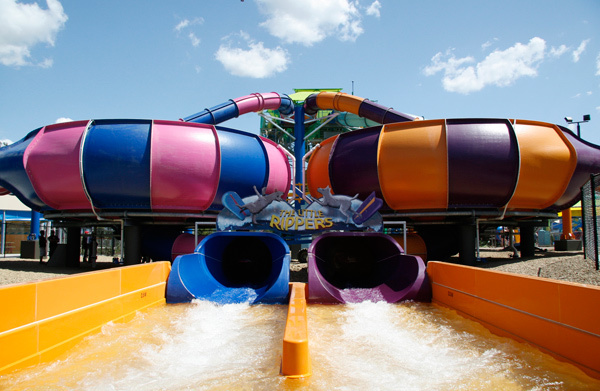 Throw in some roller coasters, get wet at Castaway Bay and see SpongeBob in 3D. You'll see that Sea World is perhaps the best all-round theme park. Grab a combo pass to save on entry to 3 theme parks. Wet'n'Wild is a fantastic day out, summer or winter, rain or shine. Have fun in the sun and cool off in the water. 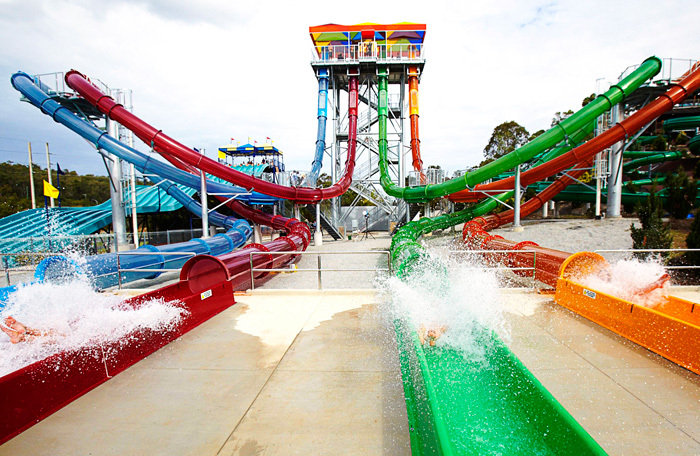 With nothing but amazing water slides, kids pools, a whirlpool and a giant wave pool, Wet 'n' Wild is one of the greatest water parks in Australia. In winter everything is heated so you won't get cold and on a hot summer day, you'll have a hard time finding a better place to be. Wanna relax instead? Book your own Chill Cabana. 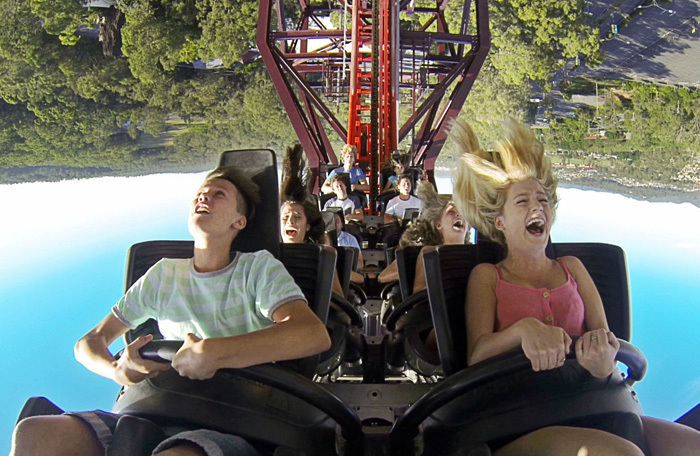 As the biggest theme park in Australia, Dreamworld has it all. With their 'Big 9' thrill rides, plenty of family rides and kid's precincts like the Dreamworks Experience and ABC Kids World, animal shows and attactions, Dreamworld is really your one-stop-shop for all things FUN! Get the 1, 3 or 7 day pass for unlimited entry to Dreamworld, WhiteWater World and Skypoint and save off admission prices! Located next door to Dreamworld, WhiteWater World is one of the largest water parks in the country! Experience the eight-lane 'BRO' waterslide, the 20m high Green Room, The Rip, The Wedgie, The Triple Vortex and Wiggle Bay for kids. It's the perfect way to escape the Queensland heat and have some fun in the water. Visit Dreamworld and WhiteWater World with a special 'World Pass' for discounted entry over 1, 3 or 7 days. If you're looking for roller coasters and some extreme thrill rides, Movie World and Dreamworld are a great choice - both of which also have a fantastic range of kid-friendly rides and attractions including ABC Kids World and the DreamWorks experience at Dreamworld, or the Kids' WB! Fun Zone at Movie World. Dreamworld also has a range of animal attractions from Tiger Island to their range of native animal feeding experiences, or head over to Sea World for an incredible array of marine animals in state of the art facilities. 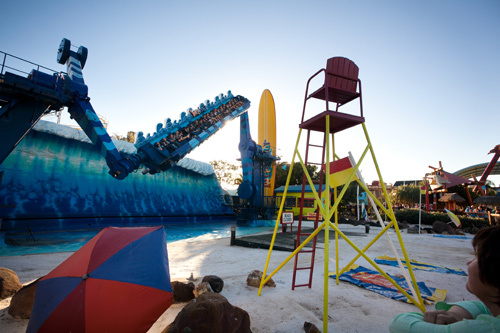 Sea World also has some fun family rides and attractions, and their own precinct for kids at Nickelodeon Land or Castaway Bay where kids can have a splash around in the piratey adventure playground. 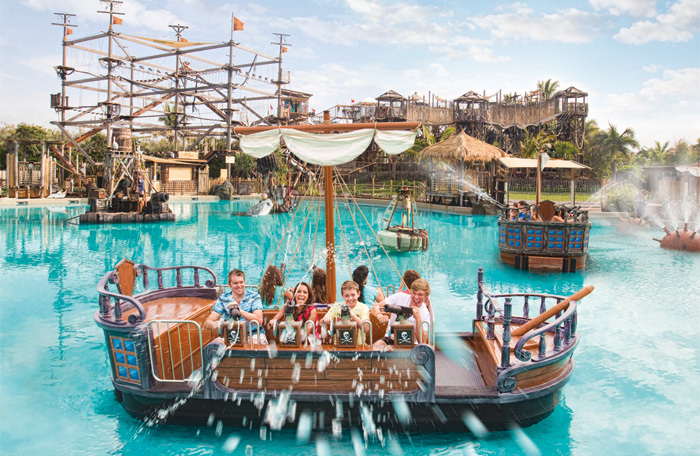 Speaking of splashing around, you'll be spoilt for choice if water rides are your thing with two huge water parks that operate all year round. Wet 'n' Wild and WhiteWater World offer a fantastic day out and with our great Queensland weather, you can enjoy them during any season. From huge water slides to wave pools and relaxing floating pools, both parks are great fun for any age. If you need a break from the rides, sit back and enjoy some of the excellent entertainment options on offer. See incredible stunts and precision driving at Movie World's Hollywood Stunt Driver show, or enjoy an ice cream while the Streets Star Parade goes by featuring all your favourite stars and characters. Dreamworld Corroboree offers a unique look at the ancient world of our Australian ancenstors with some fun and informative presentations and animal experiences, and for the little ones there's Madagascar Live and the Wiggle Friends Show. Sea World has some awesome (and cute) animal presentations including their famous dolphin show, penguin feeding, seal guardian and ray reef presentations. Their lake stunt show has plenty of action and for the kids you can enjoy the Turtle Power or Paw Patrol Live Show. Get Your Theme Park Passes! The Gold Coast is spoilt for choice when it comes to holiday accommodation, but the majority of hotels and apartments are located along the coast such as Surfers Paradise, Broadbeach and surrounding areas. In saying that, most hotels and accommodation providers can arrange a transfer to the theme parks of your choice or you may wish to hire a car during your stay (it's about a 20-30 minute drive from Surfers). You can also get public transport to the theme parks but just keep in mind that it will take you a little longer due to the various stops. Sea World is the closest, located near Main Beach and the easiest to get to from the accommodation hubs. Each park has so much to see and do, and can be quite busy during the school holidays and summer months that you will need at least a day for each theme park to get the most out of the experience. This can get expensive, especially if you have a family with you which is why discounted combo passes are a great and affordable option. You can get a 3, 7 or 14 day pass which gives you entry to the chosen theme parks during that period of time, or you can get annual passes for a little more than the price of a weekly pass. This lets you explore the parks at your own pace without having to spend a fortune on individual tickets, and without missing out! Where are the theme parks located? Use the handy map below to get an idea of where each of the main theme parks are located around the Gold Coast. Click on their pointer in the map to find out more. Are there different theme parks? Come and visit the world's first holographic entertainment centre located right here on the Gold Coast! This 1700 square metre indoor entertainment facility will amaze everyone that enters with its advanced hologram technology that projects artificial worlds all around you. Walk through over 40 rooms and travel to a different world in each. Go on an African safari, fly through the sky, walk over rickety bridges, swim in the ocean or battle mythical dragons! Take a walk on the wild side and get close to some native Australian and exotic wildlife at Currumbin Wildlife Sanctuary. View stacks of interactive displays, wide-open enclosures while walking through the lush rainforest and see all of your favourite animals - cuddle a koala, get up close to crocodiles, hand feed the kangaroos or Rainbow Lorrikeets or for the adrenaline junkies go through the Adventure Parc High Ropes Course. Paradise Country is an authentic Aussie homestead where visitors can experience true blue farm life. Enjoy a meal at the Farm House or roll out the picnic rug on the hill. You can wake up to the call of the kookaburra and the bleating of sheep when you choose to stay on the farm in one of the onsite offerings. This experience is perfect for young and old as you immerse yourself into the Aussie farm lifestyle.